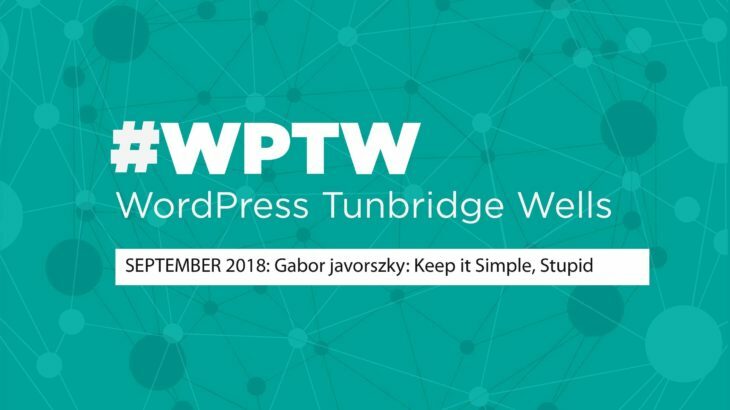 This month we have Gabor, freelance WordPress developer giving advice on optimising your WordPress site. I’ve been working with WordPress for the past 5 years. Currently a developer at Mindsize, I’m responsible for sites that make $1m/week to their businesses. Scale is cruicial. Outside of that, I freelance occasionally, build Laravel apps, learn Go, and go on rollercoasters. 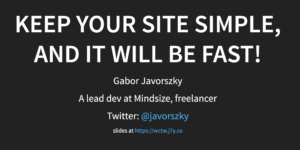 Talk: Keep your site simple, and it will be fast! There are a surprisingly small number of things that you need to keep in mind when preparing for a lot of traffic. I’ll go through each of them, and talk about why they’re important, and how businesses usually break that. At the end you should be able to look at your site with fresh eyes and figure out how best to simplify it.